Does your little one love princesses, pink and anything girly? 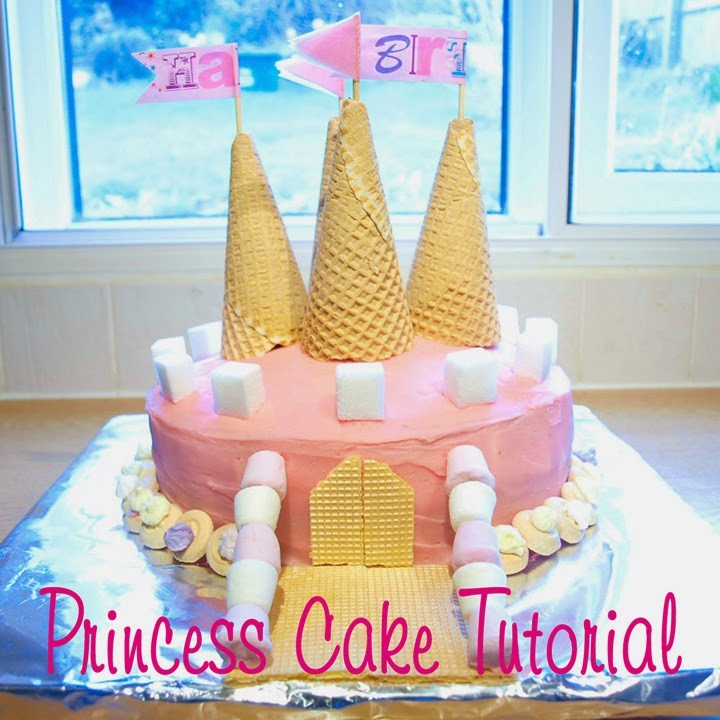 If so, this Princess Cake will be perfect for you! It was Sprout’s 4th birthday last month and she decreed a few weeks before her party that she wanted a pink princess cake. In fact, she even picked the one she wanted out of one of my recipe books. However, after looking at the recipe and seeing that it consisted of two tiers plus separate turrets as well as a set of new cake tins I decided to come up with my own version! Don't be put off by the long list of ingredients/equipment - the Victoria Sandwich is a doddle and probably the easiest cake I have ever made. Whilst the sponges are cooking and cooling you can make the icing, the flags, turrets, drawbridge and door. 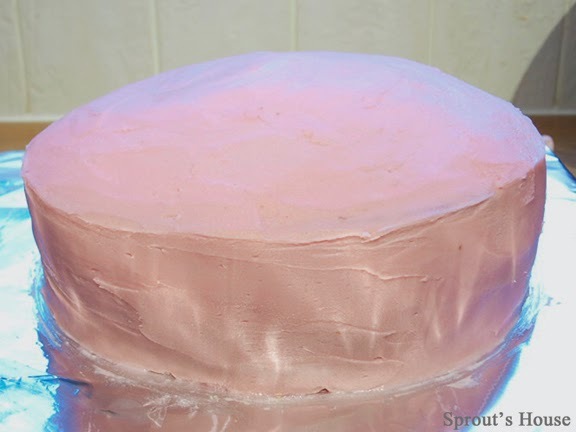 pink food colouring - add the colouring as soon as you have made the icing OR use white icing for the filling and the colour the icing for the outside of the cake. 1. 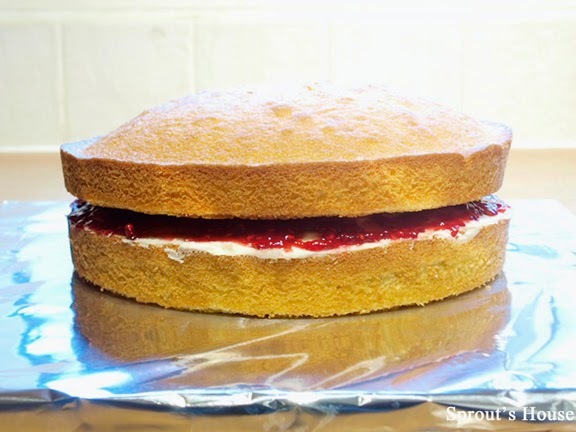 Make the cake using this simple Victoria Sandwich recipe and wait for the sponges to cool. 2. Make the icing using this recipe from the Hummingbird Bakery. 3. Assemble the cake – dab a bit of icing in the centre (but slight towards the back of the cake board so that the drawbridge fits in) and place the first sponge cake on top of it. Spread a layer of icing then a layer of jam before adding the second sponge cake. 4. If you haven’t already done so, add a few drops of pink food colouring to the icing. 5. Ice the cake starting with the sides and finishing with the top. You can crumb coat it if you like, but I found that I didn’t really need to. 6. Once the cake is iced, you can get a really smooth finish by dipping the pallet knife into boiling water and gently running it over the entire cake. 7. To make the turrets, take each ice cream cone in turn and carefully snip around the top so that the cone will stand up straight when it's upside down. You may also need to snip a little bit off the tip so that the bamboo skewer will pass through it easily. Arrange the cones upside down on the cake. 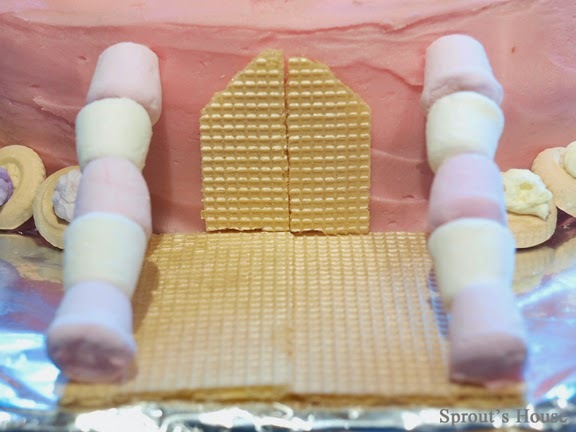 8.To make the battlements, place the sugar cubes at regular intervals around the outside of the cake. 9.To make the door, take two of the wafers and gently cut into the shape of a door. Carefully, stick to the side of the cake. 10.To make the drawbridge, take two of the wafers, cut to the correct shape if required and lay on the cake board in front on the door. Secure with a dab of icing. 11.Thread 5/6 mini marshmallows on to two bamboo skewers. You may need to snip off the excess bamboo. 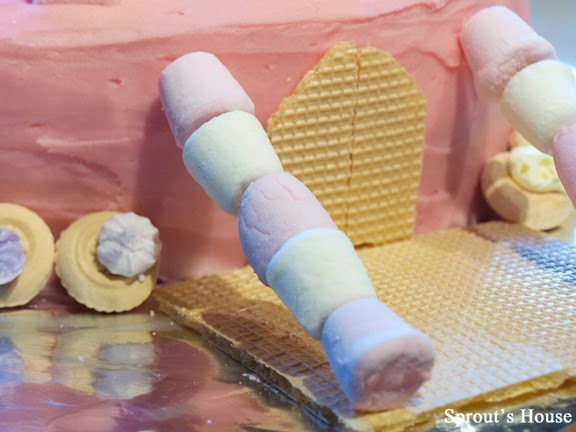 Rest each skewer on the cake so that it appears that the drawbridge is attached to the cake. 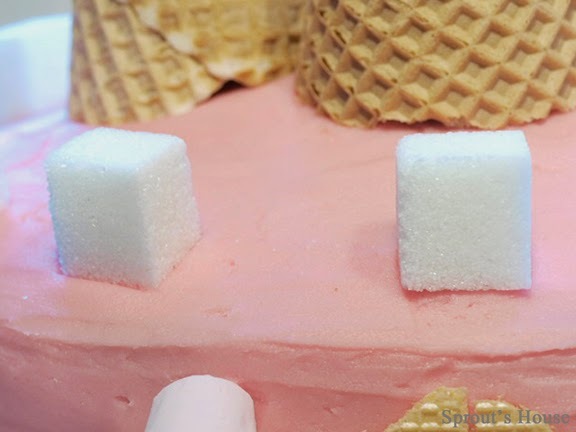 12.Place Iced Gems around the bottom of the cake. 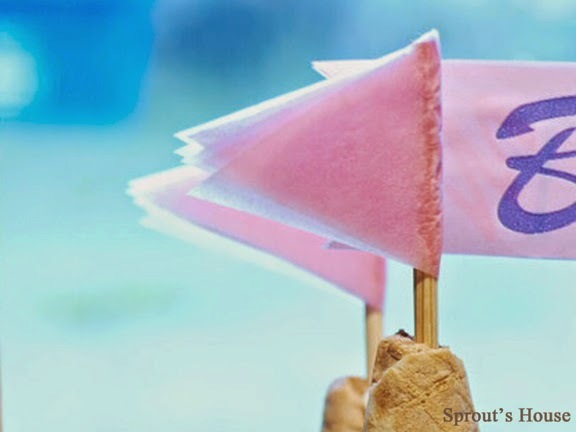 13.To make the pink flags, cut 8 diamonds out of pink tissue paper. Fold each of the diamonds in half and separate into two piles of four. Wrap one diamond around the end of a skewer and glue in place so that the points match up. Add the other three diamonds one on top of the other, but only glue each one around the skewer so that it looks like the flags are fluttering in the breeze. Repeat with the other pile of diamonds. 14.To make the ‘Happy Birthday’ flags, using some left over wrapping paper and cut out rectangles. (I cut rectangles around the words Happy Birthday). Fold each rectangle in half and wrap around the skewers. Match up the short edges of each rectangle and glue in place. Cut a little triangle in the end of each flag. 15.Add the four flags to the cake, pushing each skewer through the hole in the tip of the cone all the way into the cake. 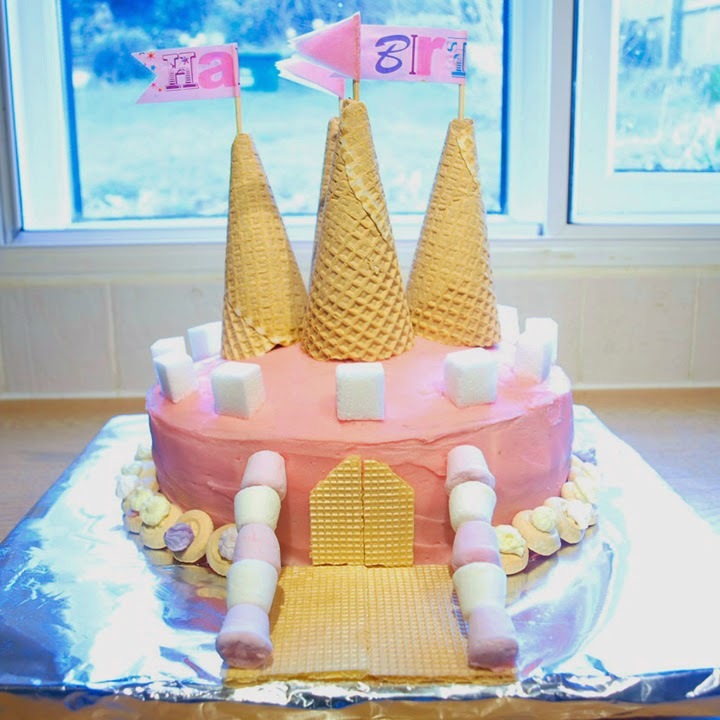 What cakes have you made for your children's birthdays? For inspiration, read about Sprout's Peppa Pig Cake and Fire Engine Cake. This is truly truly amazing! You have really out done yourself!.. I love the doors to the castle and the draw bridge! You must have been excited to show her! Have a great weekend with your family! What a cute idea for a little girl who loves princesses! I'm here from Friday Pin Fest. This is such a wonderful cake for a princess (I have 2 + a little prince). pinned. I Have enjoyed checking out your lovely blog this morning. Hope you have a great weekend. What a beautiful cake!! It's perfect! This is amazing! I know my daughter would adore this! This is such a pretty cake. My girls would have loved it when they were younger. Thank you so much for linking it up to Dare to Share... You are today's Dare to Share Feature of the Day. How fun. And I think I could actually do this one!! Thanks for a great post and a great idea!! My girls will be turning 5 in June!! I need party ideas!! What a fun cake and idea!!! 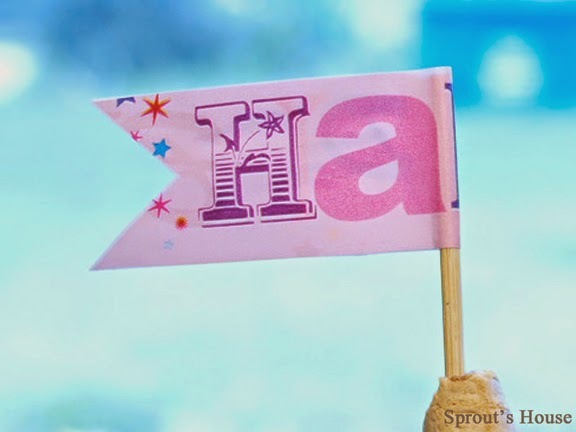 Thanks for sharing at the Happiness is Homemade Link Party, hope to see you back on Sunday! 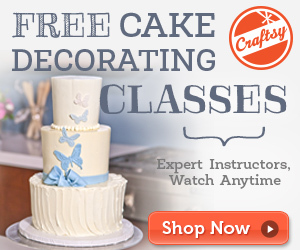 Stopping by from We Made That and your cake is darling! Very creative. What a gorgeous cake, I love it!